Hiring the right home health care service is a challenging process. 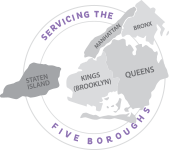 If you’re currently looking into homecare agencies in NYC, we invite you to see why Care 365 is a trusted provider of quality homecare services throughout the community. Our professional aides, nurses, and therapy assistants provide patient-focused care so you can recover at home- where you belong. As a Care 365 clients, you’ll have access to a dedicated hotline set up to provide support, advice, and answers when you need them. Our easy-to-remember toll-free number, 1.833.CARE.365, makes it simple to get connected with our staff when you need to speak with a live representative from our agency- and our number is always open, regardless of the time or the day. If you’re too sick to visit your primary care doctor, Care 365 can bring the physician right to your bedside for real physician house visits, just like in the good old days. While our home health care professionals can take excellent care of you, sometimes you need a doctor, and when you do, we’ll make sure one is available to visit your home for a personalized visit. Let our staff help you or your loved one apply for Medicaid to determine eligibility. If you qualify, you’ll receive homecare services at a discounted cost or no cost at all. Call us now to begin the application process- we’ll do all the work for you and notify you when we receive a response from your application. If your loved one speaks another language, we can provide full-time homecare by a professional who speaks their language fluently- not just a few words or phrases. Call us and let us pair you with the right home health care aide who speaks English, Spanish, Chinese, Yiddish, Hebrew, Russian, Bengali, Urdu, Punjabi, Creole, Thai, Hindi, Filipino, or your own language. If you’re recovering from an illness, surgery, or an injury and wish to remain in your home while you heal, contact Care 365 now for information on how you can qualify for Medicaid or the CDPAP program. With CDPAP, you can choose your own caregiver from friends, family members, or previously hired aides you already feel comfortable around. Call or contact us through our website, and we’ll provide additional information. Our reputation as a leader in homecare agencies in NYC speaks to our commitment to providing excellent care.